Do you love a good home improvement project? Whether you're a novice or a seasoned DIY-er, there are some projects that are just going to be easier than others. But which? ImproveNet set out to discover which projects can set you up for failure, and which will be a snap. Over budget. When a DIY project runs over budget, on average, people spend nearly two times what they projected. Back-up pros. 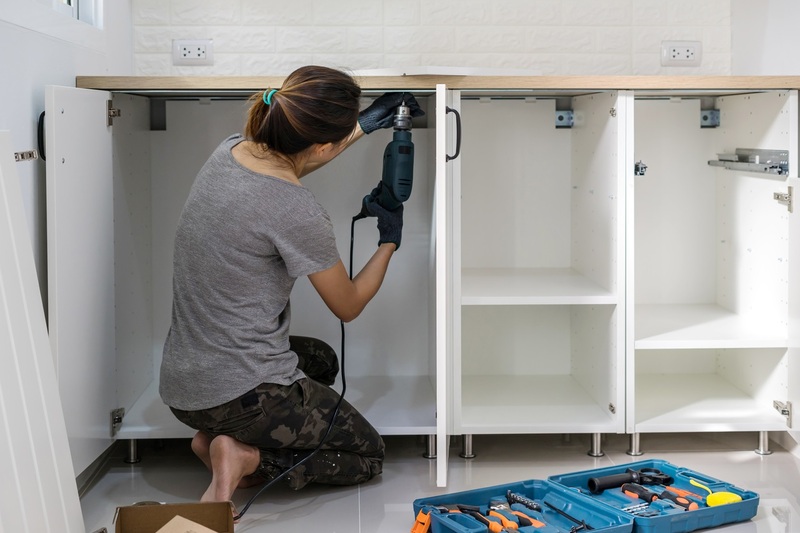 According to the results, one in three people have called a professional to redo their failed DIY mess. Ugly outcome. Why are folks disappointed with their DIY? Fifty-five percent of people say the main reason they were disappointed with a DIY is it doesn't look good. Floor fail. Which DIY project do most Americans regret trying to tackle? Installing tile floors! This task takes practice and a sharp eye. According to ImproveNet, you should leave this one to the pros unless you want to risk a shoddy-looking bathroom or kitchen floor. View the results and a full breakdown of ImproveNet's methodology here. I do not recommend anyone to do home improvement at home, if you do not have practical experience in this matter. Even in the simplest process — painting the walls — you need some experience and knowledge. An incompetent one can slap something that should not be painted, painting may turn out to be uneven, and there are many other reasons why it is better to spend money once than to pay the second one. Penny wise and pound foolish.